I decided that this year I would use what I have on hand to decorate the mantle. 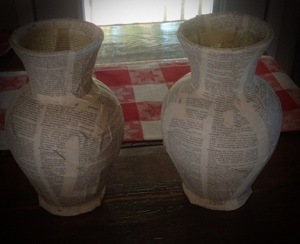 Over the year I had purchased a dictionary at a resale shop for 50 cents, I picked up a rough bulletin board when my neighbor moved out, I purchased a torn up hymnal at a garage sale for 25 cents, and I had a couple of ginger jar vases left from my son’s wedding. I picked up two yards of drapery fabric at Hancock’s Fabric on super clearance for $2.35. The first step was to draw off a large S on cardboard. 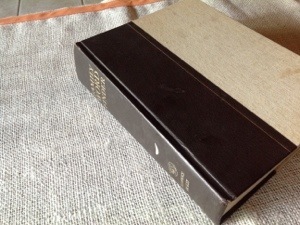 The S was covered with pages from the hymnal. 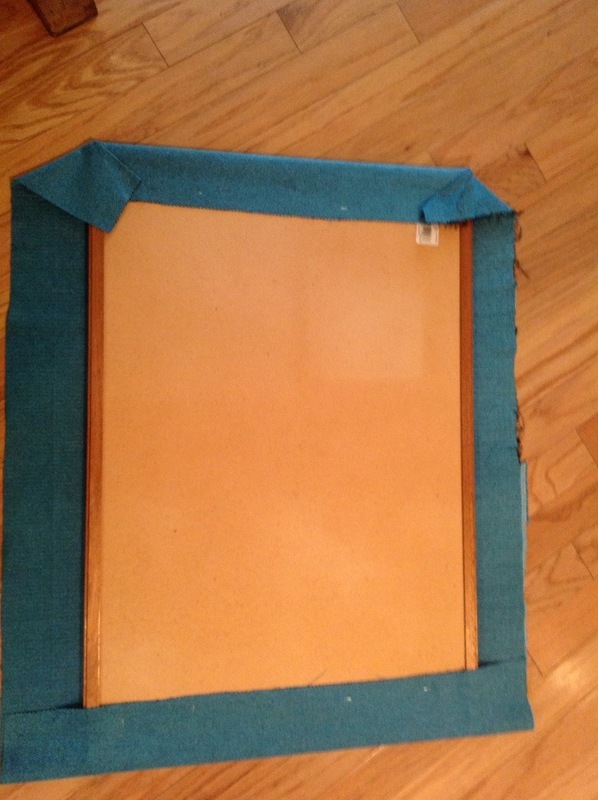 I used regular old school glue thinned down to a watery mixture. 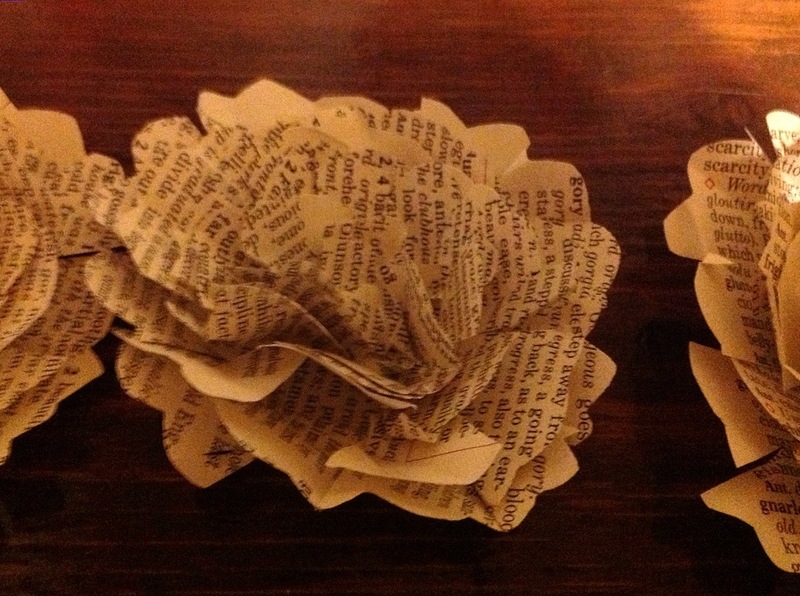 I did the same with dictionary pages wrapped on the ginger jars. Buy old dictionaries when you find them. 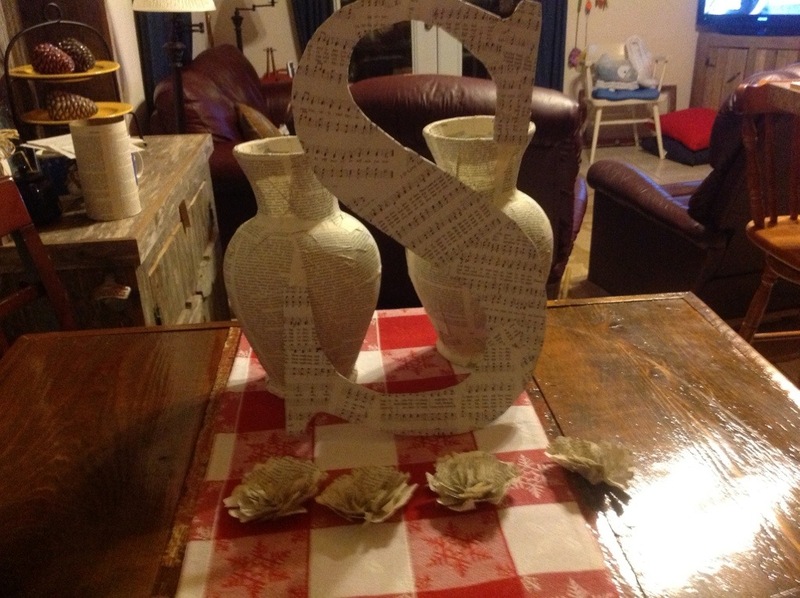 They are one of my favorite decorating items. 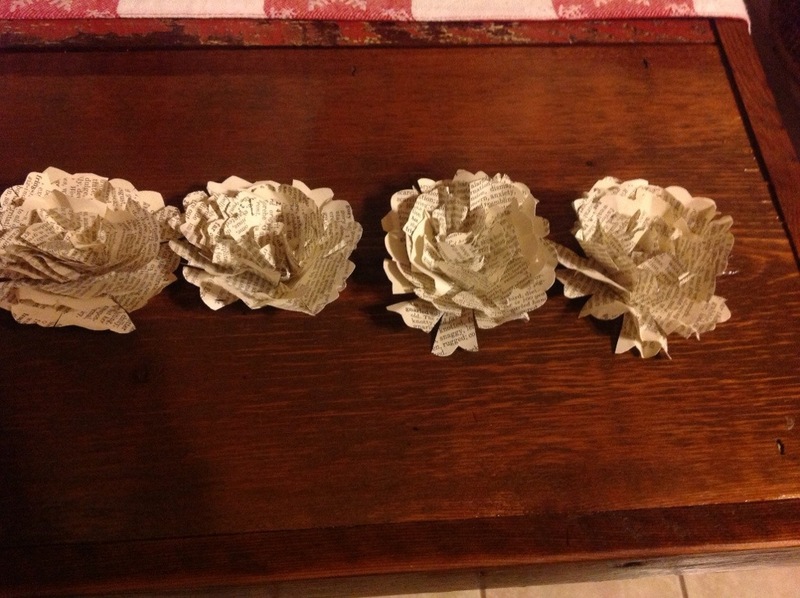 The paper flowers were made by layering some concentric circles of dictionary pages in top of each other then stitching through the stack with jute twine. I made slits in the layers then wrinkled each layer. 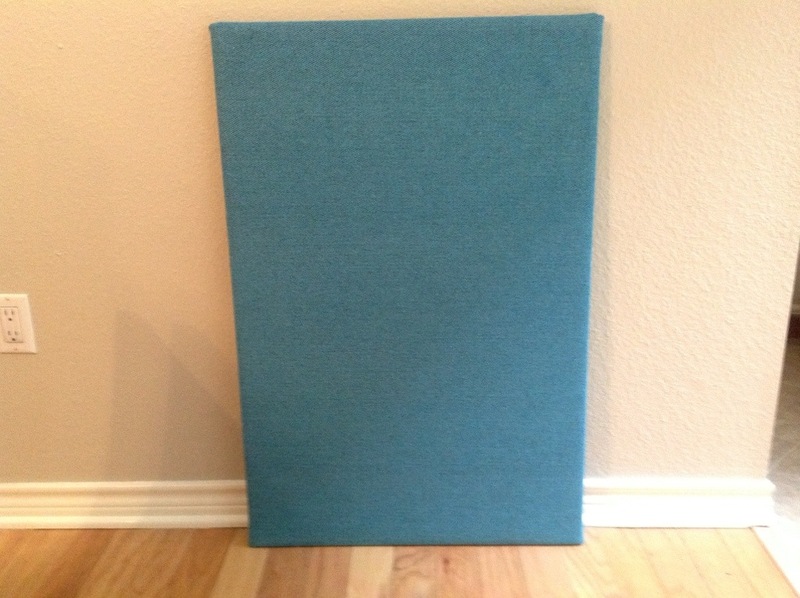 I covered the old bulletin board with fabric. Super easy. I used a staple gun. 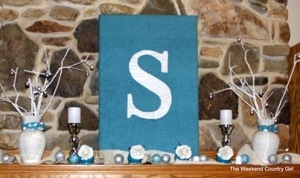 The large S was attached to the fabric with hot glue. 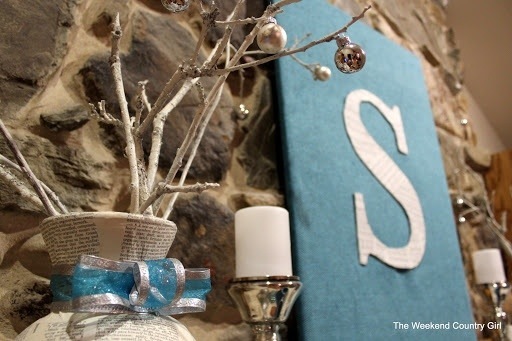 The flowers were attached to some salvaged glass jars I painted teal. 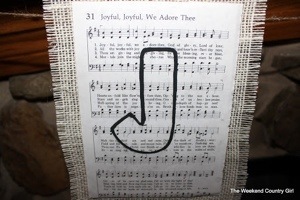 I took pages of the hymnal to create a JOY banner. All in all I am proud of my mantle. Less than $10.00 spent and totally unique.